Your Margaret River Region in Western Australia has cemented its position as Australia’s top food and wine destination, last night taking out the ‘Outstanding Region in Australia – Readers’ Choice’ category in the 2016 delicious. 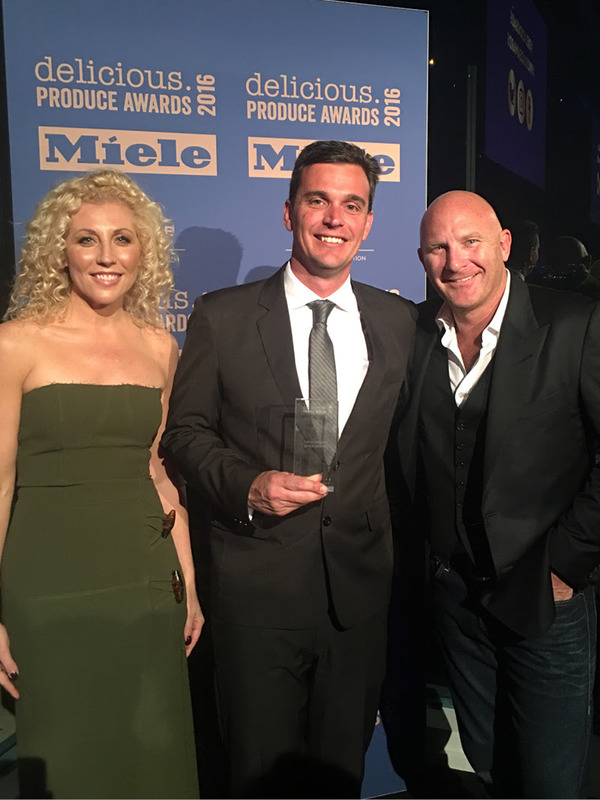 Produce Awards for the second year running. The delicious. Produce Awards highlight independent producers from over 3,000 entries, thanks to the dedication of readers who nominate their local heroes, and the insight of its panel of renowned national chef judges including Maggie Beer, Peter Gilmore and Matt Moran, (pictured above with Kerrie McCallum, Editor in Chief of delicious. magazine, and Margaret River Tourism Services Manager Matt Norton). According to the delicious. team, the competition for the accolade was fierce with over 80 regions nominated, resulting in a close race between Margaret River, Barossa Valley, Hunter Valley and the Yarra Valley. CEO of the Margaret River Busselton Tourism Association Pip Close attributed the win to the exceptional talent in the region, made up of gourmet producers, growers, wine makers, brewers and chefs. “We are ecstatic to receive Australia’s most Outstanding Region –Readers’ Choice award. The Margaret River region really is home to some of this country’s most outstanding food and wine experiences so it’s wonderful to see the region celebrated in this way for the second time,” said Ms Close. Ms Close also congratulated The Farm House Margaret River who were a finalist in the ‘From the paddock’ category. I love Margaret River in Western Australia. It’s a region that has everything (except a big city, and that’s okay) – incredible beauty, nature, beaches, surf, cliffs, forest, caves, farms, quirky shops, community markets, but what I like best of all is that it produces exceptional wine. As they say, where there’s good wine, there’s good food and Margaret River is a point fact. For the full list of winners head to delicious.com.au.